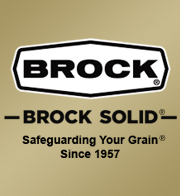 Brock's heavy base angle is available to match two- or three-stiffener per silo sidewall body sheet configurations. Eliminate the need for silo entry during the sweep process. Bolts to pre-punched holes in the silo sidewall body sheets quickly and easily.